No gas, no problem with our electric range cookers. Easy to clean and streamlined in design they provide a large, shatterproof glass cooking surface with a selection of single and dual cooking zones that you can adapt to your cookware size. Residual heat indicators will alert you to hot cooking zones and adjustable power levels allow you to melt, simmer or boil accurately. The electric ovens are equipped with multifunction cooking options, from a conventional bake to a fast fan setting, and each oven has its own thermostatically controlled grill for maximum cooking flexibility. The electric hob on these models is not only efficient for cooking on, it is super easy to clean. Once the hob is cool after cooking, any spills or cooking fat splatters can we wiped away quickly due to the naturally non-stick properties of the glass hob top. It looks sleek and modern when switched off, in continuous black glass, and the heat indicators glow red when it is in use and afterwards while it cools down for safety. Each zone is clearly marked with etching around the cooking area so that you know exactly where to put your pan and the dual zones have two marked areas, one inside the other, so that you can see what pan sizes will work best on each cooking ring. 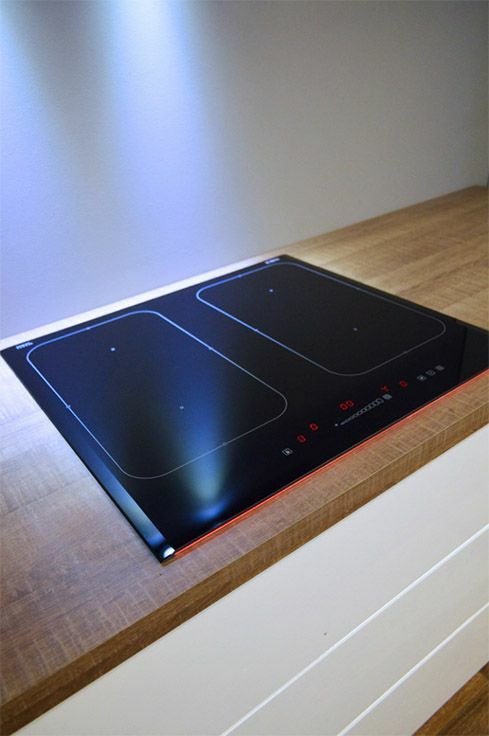 The glass we use to make the electric hob tops is supplied by a manufacturer called Schott. Their design is durable and sustainable making it compatible with our values. The material is scratch-resistant and shatterproof to withstand the daily wear and tear of family life. So if you don’t like removing and cleaning metal pan supports on a gas hob, or hate the time a solid plate takes to heat up, a glass, ceramic cooking surface is definitely for you. The styling of our electric range cookers is streamlined and modern with smooth black glass broken up with brushed stainless steel. This colourway will suit almost every kitchen design and bring a new edge to an appliance that has appeared in so many forms over the years. The electric range cookers come in two size options. 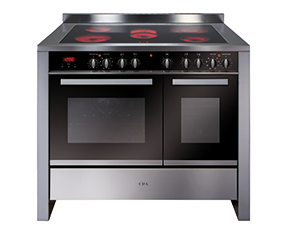 A 90cm model is perfect for getting multifunction oven and hob cooking into a single work station. The 100cm model just gives you that extra room to move pans about and the external frame will outline your central range cooker feature in the kitchen. Both options feature a cooking zone at each corner, with a dual zone that is perfect for boiling pans of water for pasta, kettles or simmering soup. The central cooking zone on these models is oval in shape which is perfect for similarly shaped casseroles, small baking trays for making ‘proper gravy’ and even fish kettles if you are part of the group that still use these. Whatever your cooking style a modern, electric range cooker bridges the gap between design and function perfectly and brings a functional modern edge to an impactful design feature in the kitchen.